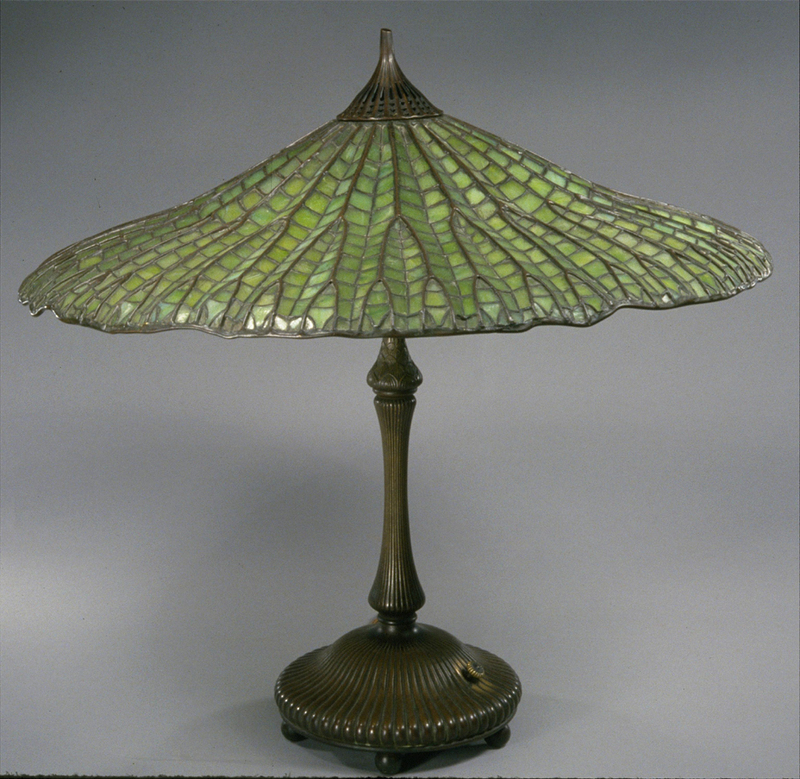 Louis Comfort Tiffany was the eldest son of Charles Tiffany, founder of Tiffany and Company in New York. He was trained as a painter but eventually turned his attention to the decorative arts and began experimenting with glassmaking techniques in 1875. His early success with stained glass windows and mosaics led to the establishment of the Tiffany Glass Company in 1885. Tiffany called his glassware Favrile, derived from the Old English word “fabrile,” meaning handmade; it was created in the Art Nouveau style, a fusion of classical shapes and organic forms punctuated with sinuous, asymmetrical embellishments. An instant sensation, it was actively sought by both museums and private collectors. With his innovations in glass as well as in furniture design, ceramics, jewelry, and metalwork, Tiffany became a major force in the popularization of the Art Nouveau style in the United States.